The “Oh No, It Is MIOSM and I Haven’t Planned Anything Yet” Cheat Sheet! Let’s look at the first one: have oldest grade level sing/ play for younger students/ vice versa. You can do this during a prep period or right before school for a select few. The benefit of this is to have your older students show your younger students what is possible and to have your younger students remind the older ones how far they have come! Class time can also be used to discuss what was heard ~ a great time to cover the critiquing portion of our music standards! If time allows, both classes can have this discussion together! This is also a GREAT opportunity to set up a mentor program for those pumpkins who are more challenging. The younger children benefit because they look up to the older students and your older children are given a leadership role. I have seen the toughest students act so sweetly when given the responsibility. Idea number two: have choir sing during morning entrance and/ or afternoon dismissal. This one is fairly easy to set up and takes little effort to execute. 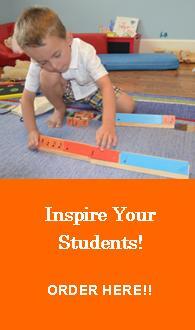 Parents are able to see what their child has been doing in your class, as well as teachers and administrators. Unfortunately, we also need to advocate to those that are in our building. For those outside of our buildings, emails can be sent to district level administrators and local reporters. As far as music to be sung or played, a monthly theme can be set up, if there isn’t one in place already or kids can practice music for upcoming performances. It is always a good idea to give concert repertoire a run through once or twice before a performance!! Lastly, idea number three: create a short video concert for some or all of your classes to put in a Dropbox and email the link to parents. This eliminates all kinds of issues! You can do it when and where it is convenient to you! This can be used in several different ways. First, kids can videotape their favorite song or composition that they have written and perform it on camera. Second, each class can give a tour of their music classroom and how to use all of the instruments that are showcased and thirdly, students can teach their parents a music lesson they have learned, either as a class or individually. All three ideas your students will enjoy creating and will certainly help parents get a better idea of what it is you do! As March “marches” on, I hope these few simple ideas will help! We always need to build awareness of how important learning music is to a child’s overall education! !